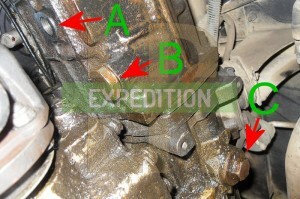 Part of the problem with buying a Land Rover with no service history is that you feel you have to start doing everything; thus creating a history to ensure to yourself that it is being kept in the best condition possible. Of course doing a full service upon purchase of a knackered Defender won't make up for years of inadequate servicing, but it puts you in the best position possible. You get peace of mind that it's in the best condition it could be mechanically and it gives it at least some history which you can use as a selling point in the future. 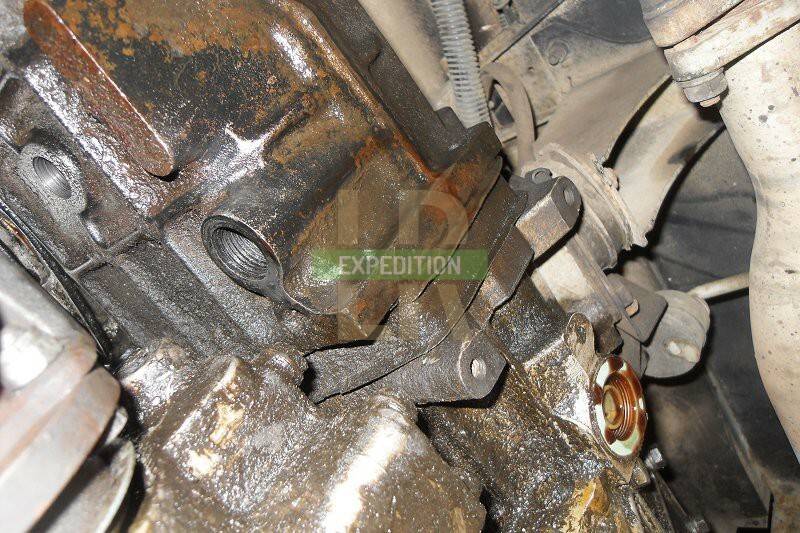 The LT77 gearbox on a Land Rover Defender has a service interval of 25,000 miles (40,000km) or Land Rover suggest once a month when on expedition in arduous conditions! I found it to be a straightforward job: improving the action of the gear lever and even reduced the noise in the cab! 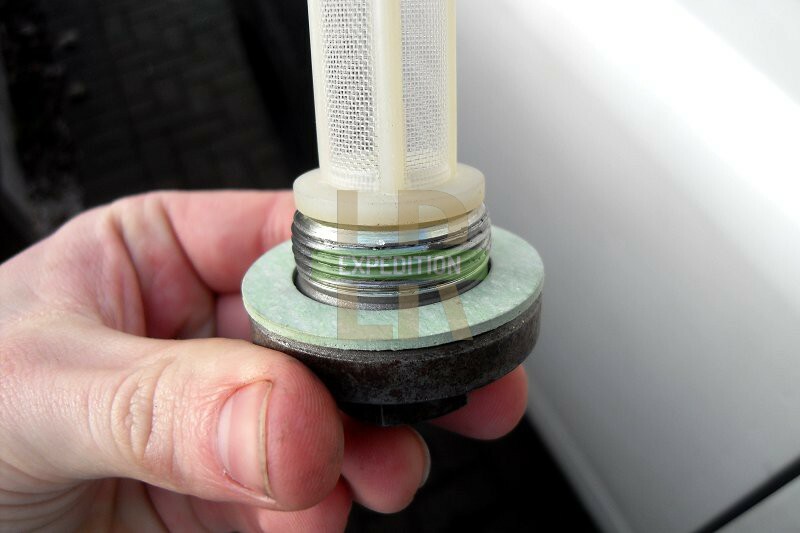 The R380 gearbox fitted to Defenders from 1994 onwards is very similar except that it there is only one main drain plug and the filler plug requires a T55 torx bit. 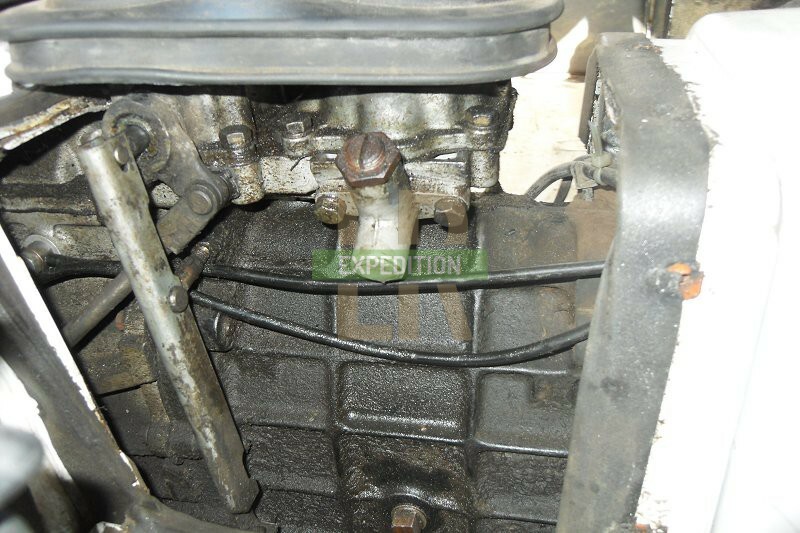 First I removed the gearbox tunnel which made access a bit easier as I had to adjust the difflock linkage at the same time. 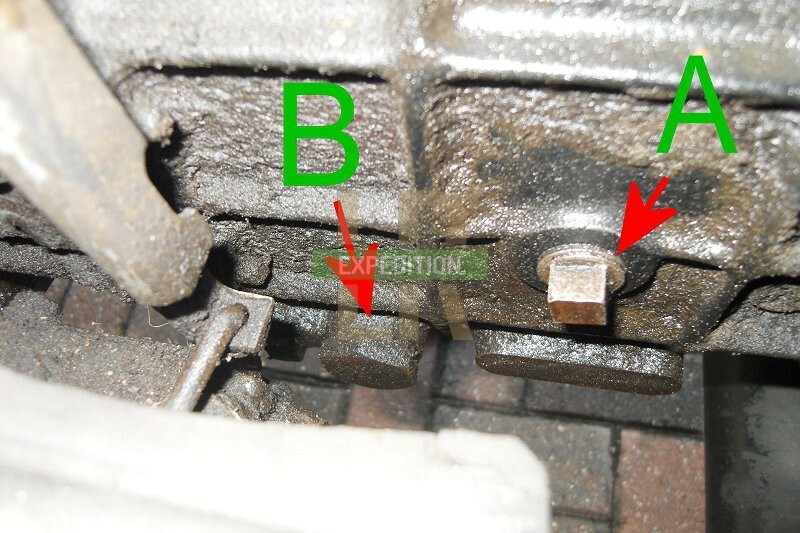 The filler/level plug (A) needs a 1/2" spanner, the drain plug (B) a 32mm spanner (a viscous fan spanner doubles up nicely) and a 24mm socket/spanner for the extension case drain plug (C). 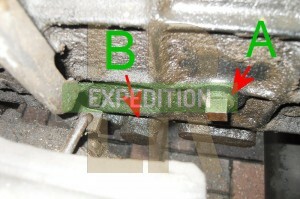 Undo the filler plug first (A) and then undo the main drain plug (B). It will shoot out quick. 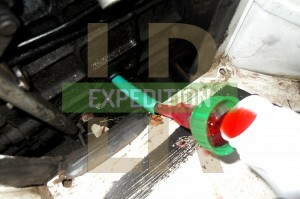 Then undo the extension case drain plug (C) to remove any last traces. 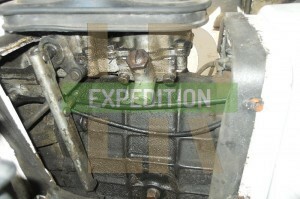 The extension case houses the oil pump and fifth gear. 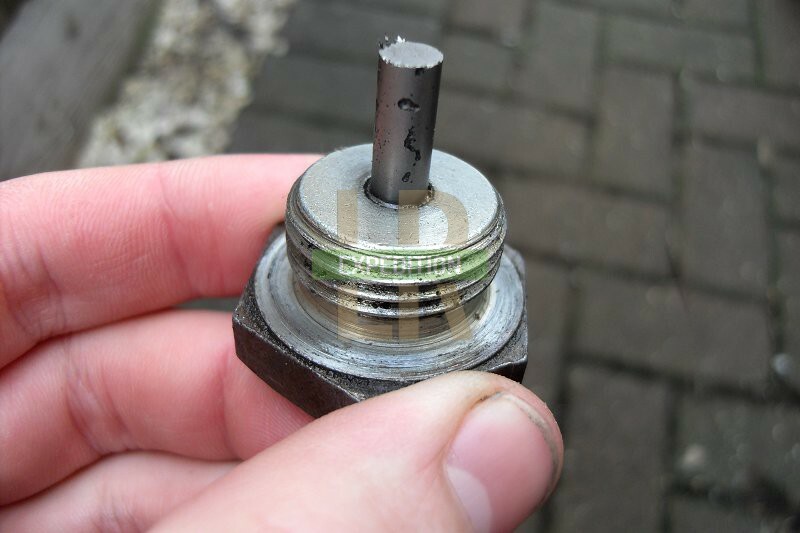 Always undo filler plugs first. 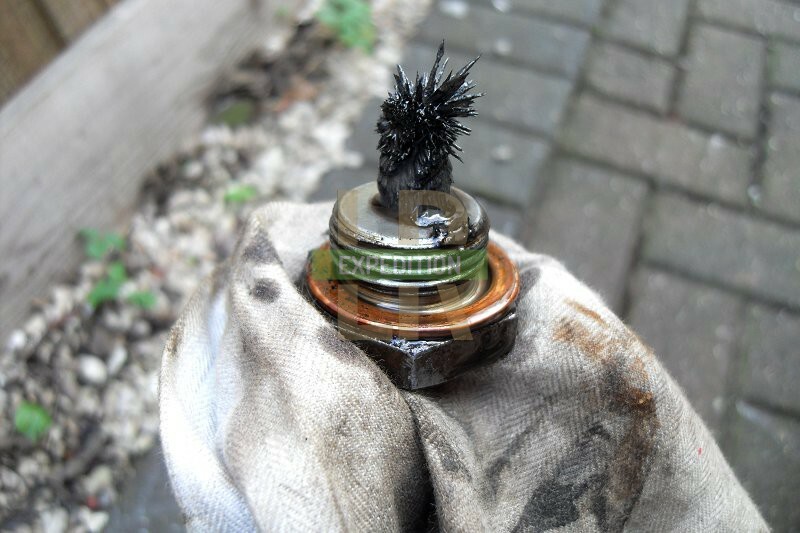 You don't want to undo the drain plug to find that you can't undo the filler and have no way of getting the oil back in! 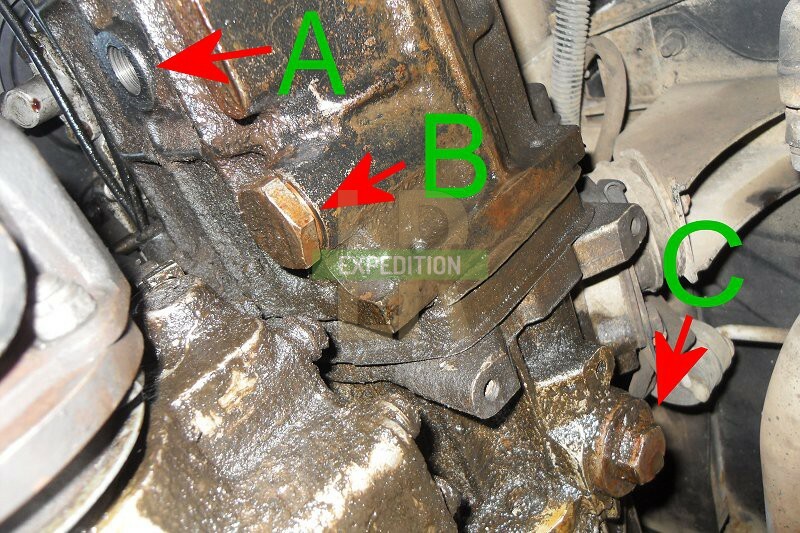 The drain plugs are magnetic so catch any metal pieces that come off in the gearbox to prevent them getting caught up in the gears. There can be more than you think! 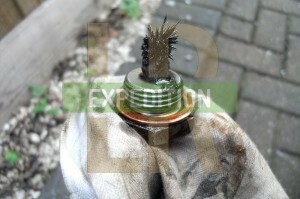 The main plug had quite a few shards along with a silver sludge made of very fine metal filings. It makes me think the oil hadn't been changed in a while, but finding some metal shards is normal. 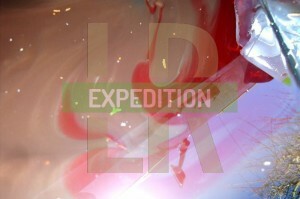 I gave it a good wipe. The extension case drain plug also had some metal sludge on it. The filter sits in the plug. The one I removed looked particularly old and twisted, and had pieces of debris that shows it does its job. 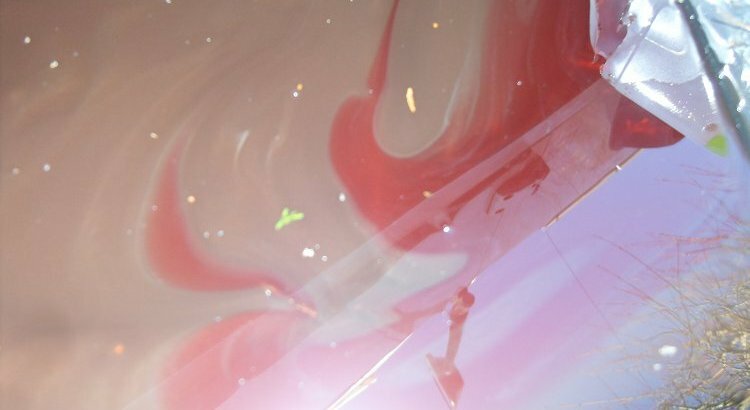 You can wash it out with diesel but I elected to put in a new one in. 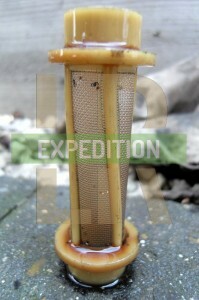 The filter slots into the extension case drain plug and I added a new cardboard washer as well. It needs a little wiggle to get the filter in the right place. 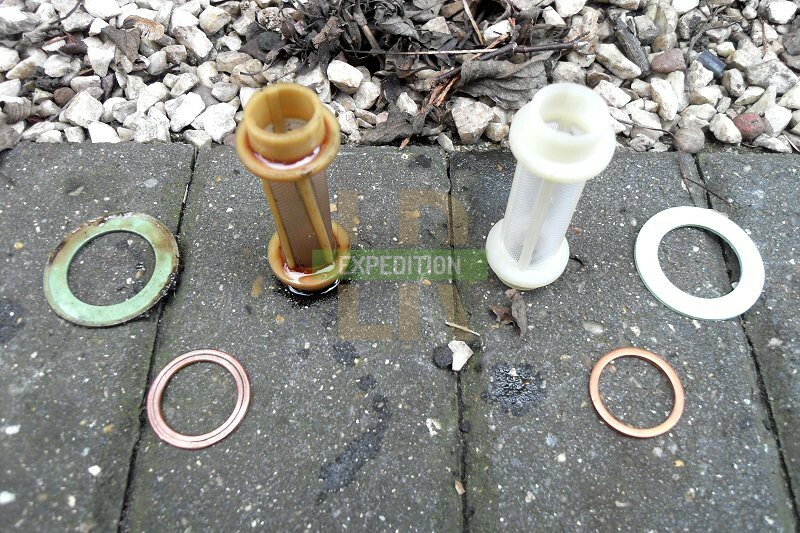 I used a new copper washer for the main drain plug too. 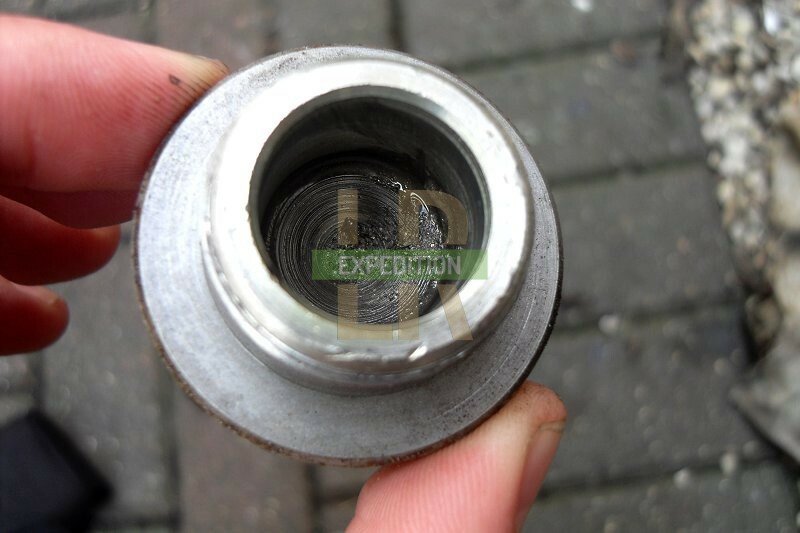 Tighten both the drain plugs to 20Nm. 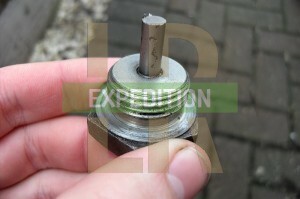 With the gearbox tunnel out, filling the gearbox again was quite easy. 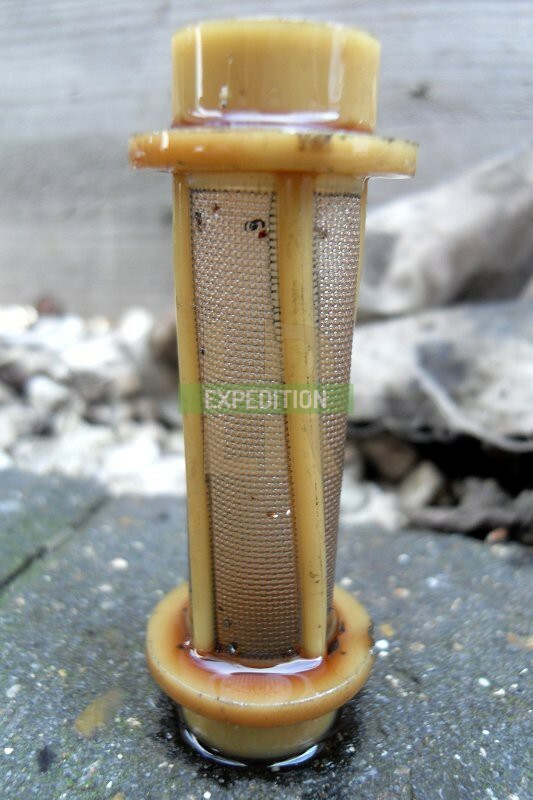 I used the funnel-esque cap of the ATF bottle attached to a piece of hosepipe. 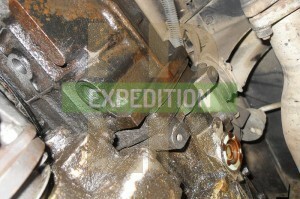 The gearbox took 2.5 litres in total. 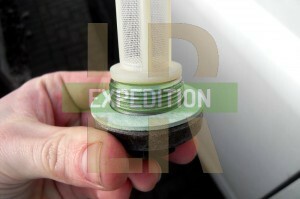 When oil starts flowing from the filler plug, stop, put in the filler plug and tighten to 20Nm. Some of the ATF spilled onto the tray of old oil and really gave a refreshing contrast between the old (brown) and new (red) and that warm feeling that you've done something that makes your Defender better.